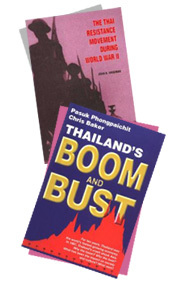 Ever since its founding, Nibondh & Co., Ltd. has always been involved in supplying monographs and serials published in Thailand to National Libraries and academic institutions that have a Thai Collection. Some of our clients in the U.S. Library of Congress, the National Libraries of Australia and Singapore, Cornell University, Yale, SOASA, Universities of Wisconsin, Michigan, Arizona,Washington etc. We are very flexible and can supply books on a Blanket Order, or orders for individual titles. Or clients can select from our Recent Publications list.